Biography: After studying Art and Design at College Kathryn got her first job in a design studio and went on to have a successful career in marketing after studying with The Chartered Institute of Marketing. She continued, however, to dream of becoming a professional photographer and, after some wise words from a dear friend, decided to take the plunge and turn her passion into her business. She enrolled on a Professional Portrait course, passed with flying colours, and hasn’t looked back since. 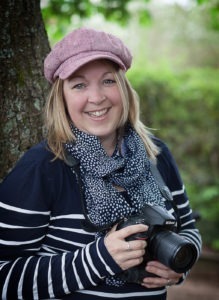 Kathryn is at her most content behind a camera, and nothing gives her more satisfaction than capturing a special moment for her clients or being able to capture a business story for websites and marketing purposes. Kathryn has been self employed for 5 years, and lives near Henley on Thames with her husband, their 5 year old son and Reggie AKA the Racoon cat.